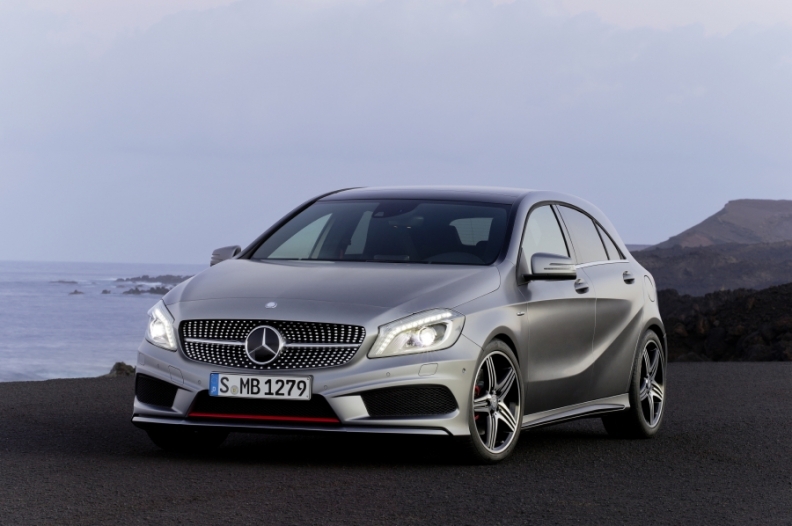 The A class (shown) is part of Mercedes' strong-selling compact range that also includes the B class, GLA and CLA. BRESCIA, Italy -- The smallest Mercedes-Benz will remain the A-class compact, although the Smart brand could expand into subcompacts, Daimler CEO Dieter Zetsche said. "We had a long debate about whether we should expand Mercedes into the B [subcompact] segment and we decided this is not going to happen," he said last week after a media event here. "There is a possibility that Smart could expand into the subcompact segment, but we have not decided that yet," Zetsche added. The Daimler CEO, who is also head of the Mercedes brand, said it would have been difficult for Mercedes to be profitable with a subcompact model. The highly competitive segment already features products such as the A1 from Volkswagen Group subsidiary Audi and a range of vehicles from BMW Group's Mini brand. This summer Smart will unveil the third-generation two-seat ForTwo microcar and the second-generation four-seat ForFour. At about 3500mm long, the new ForFour will compete against near-premium minicars such as the Fiat 500 and Opel/Vauxhall Adam. A year ago German magazine Auto Bild said that Mercedes was considering launching a so-called "X-class," as a range of front-wheel-drive subcompacts costing less than 20,000 euros. The cars would be designed to fill a gap between the Smart brand and the Mercedes A- and B-class compacts. The magazine said Mercedes planned to develop it with the help of Renault-Nissan as a way of expanding the partnership to pool development and production of small cars and engines. Mercedes was reportedly aiming at global annual sales of between 100,000 and 150,000 units for each of the first two X-class models.